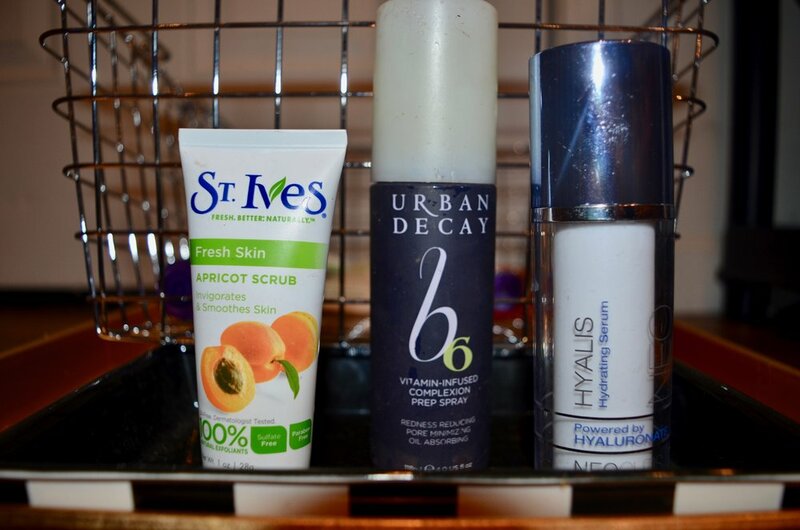 My skincare routine is honestly one of my favorite parts of the day! Through trial and error, I have narrowed down the seemingly infinite number of products out there to fit my perfect combination. It's kind of like a science at this point, but the only kind I can actually pass. As far as my cleanser goes, I really wanted to find something that was super affordable because I go through it pretty quickly. 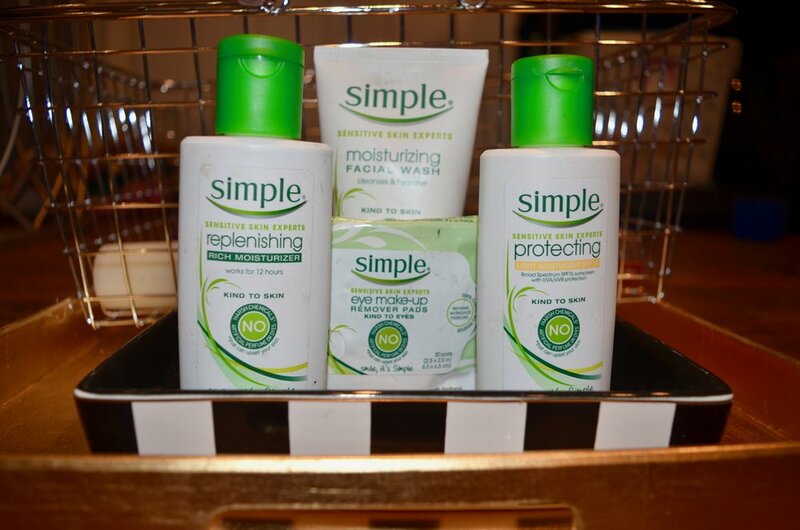 Simple brand and Clean & Clear have become my go-to's because are reasonably priced, very easy to find, and they always have promotions and bundle packages, it is great. For my morning cleanser, I use the just the basic Moisturizing Facial Wash by Simple. I hate it when products are just overloaded with ingredients I don’t recognize and all the Simple products are hypoallergenic, safe for sensitive skin, extremely gentle, but effective. At night I love using the Clean & Clear Night Relaxing Deep Cleaning Face Wash. It smells delicious, it's oil-free, and has these little scrubbing beads in it to really wash away the day's mess. I've used the Clean & Clear toner for years and love it! Toner is great because it's equally as preventive as it is helpful for treating blemishes. The Clean & Clear toner smell is a little strong but I like it, it literally makes me feel clean and clear. My last step is to moisturize, and in the morning I make sure I am using a cream with SPF. The Simple brand Protecting Moisturizer is my favorite because it has SPF 15 but does not have that thickness that some SPF moisturizers do. At night I'll use the Simple brand Replenishing Rich Moisturizer. This works overnight to re-hydrate my skin from the toner and to make sure I wake up every morning with nice smooth bright cheeks. I usually use something a little denser about once a week to exfoliate. I like the St. Ives scrubs because they have the best scents. I even buy the travel sizes so that way I have the excuse to switch the scents more often. It's like rubbing different amazing candles on your face, and in the shower with some steam, it then becomes like a mini facial. Serums can be kind of intimidating because sometimes they are heavy and gooey... and some smell weird. But, I found this gem by Neocutis and I love it! Its a little pricier but not something I have to use all the time. Whenever I feel my skin getting a little dry from traveling or cold weather, I use the Hyalis Hydrating Serum once a day [for like 3 or 4 days], and it is like magic--right back to normal. When Serum is involved in my routine; lets call it step 3.5, right in between toner and moisturizer. I try to avoid any heavy makeup on my face, especially in the daytime because sun and foundation are just a terrible mix for me. But if it is an occasion where I will be wearing foundation I always use Urban Decay's Vitamin-Infused Complexion spray before applying any makeup. I think of it as an extra little shield to protect me from the damage my makeup could do. I try to limit my toner use to twice a day but "if" I workout, post workout face wash is one of them. All I can think about at the gym is how many people touched the equipment; then I touch the equipment, as a result if I touch my face it is the same as if a bunch of random sweaty people touching it. P.S. Also, I never wear make up! No matter who you're trying to impress at the gym it's not worth it, washing off all the random peoples hand germs is enough.